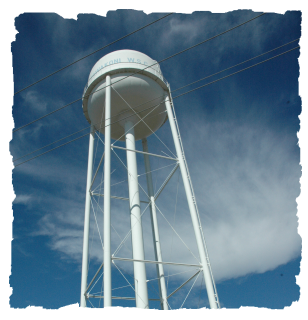 South Tawakoni Water Supply Corporation was established in 1965 by community leaders in rural Van Zandt County. Their goal was to have quality drinking water available to resident homes and farms in the communities North of Wills Point and Edgewood. STWSC is a member-owned corporation currently covering an area of approximately 68 square miles with 125 miles of water main. The number of members has grown to 1465 year end 2009. The water treatment facilities were constructed in 2001. 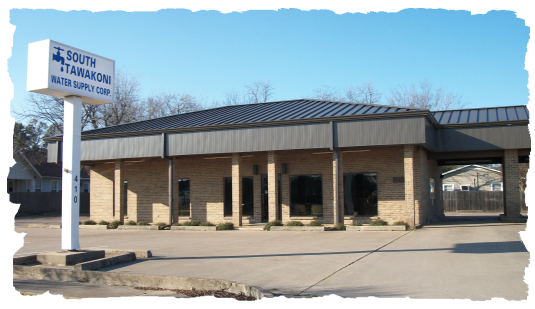 The STWSC office is located at 410 W. N. Commerce Street, Wills Point, Texas. The building and property were purchased in 1998. The corporation is directed by a board that is elected by the membership. There are seven full time employees. STWSC strives to provide its members with outstanding service and the highest quality drinking water at the lowest possible cost.